Sam J. Momon, 81, of Calhoun, died early Sunday, April 14, 2019 at Gordon Health Care. He was born in Floyd County on November 23, 1937, son of the late William Turner and Josie Momon. In addition to his parents, he was preceded in death by his brother, Shelby Momon. Sam was a well-known businessman and resident of Calhoun. He was a member of Oothcalooga Lodge #154 F&AM, receiving his 50 year pin in April of 2014, and was a member of the Echota Van Shrine Club. Sam owned and operated Calhoun Sheet Metal and Calhoun Awning and Wrought Iron, and was a licensed auctioneer. He was a poultry farmer, and served as Assistant Chief Magistrate under Warren Smith. 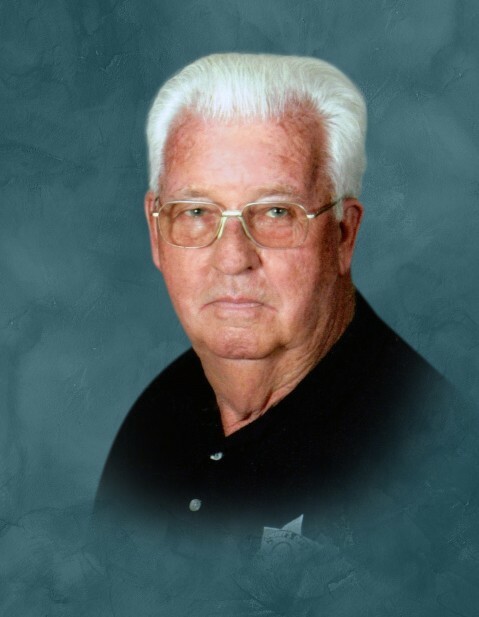 Sam also worked for the Gordon County Sheriff’s Office for many years. He was a member of New Echota United Methodist Church. Survivors include his wife of 64 ½ years, Martha Wilson Momon; his daughters and sons-in-law, Robin and Cale Curtis, and Kim and Rick Bryant; his grandchildren, Bryanne (Brian) Miller, Brandon Curtis, Hanna (Jonathan) Smith, and Brice Bryant; his great-grandchildren, Brock Parker, Brody Parker, Drake Curtis, Riley Miller, Rae and Ava Smith, and Courtney Winkley; his great-great grandchild, Adaline Baggett; a nephew, Mark (Karen) Momon; a niece, Maleah (Matt) Hibberts; a brother-in-law, Ray (Joyce) Wilson; and a sister-in-law, Pam Bryant. Services to honor the life of Sam J. Momon will be held Tuesday, April 16th at 2:00 PM from Trinity Baptist Church, with Rev. Keith Willard and Sheriff Mitch Ralston officiating. Interment will follow in Chandler Cemetery with Rev. Eddie Brannon officiating. Pallbearers serving will include Rick Bryant, Brandon Curtis, Cale Curtis, Mark Momon, Chris Wilson, Mickey Wilson, Brice Bryant, and Jerry Davis. Honorary pallbearers are Sheriff Mitch Ralston, members of the Gordon County Sheriff’s Office, the Scottish Rite Association members, Masonic Lodge members, and members of the Echota Van Shrine Club. The family will receive friends at Trinity Baptist Church on Monday, April 15th, from 5:00 PM until 8:00 PM. The Momon family would like to give special thanks to Cindy Brookshire, Gayle Daughtrey, and Sandy Headrick, for their care and compassion for Sam during his illness. In lieu of flowers, the family requests memorial donations be made to New Echota UMC, P.O. Box 71, Calhoun, GA 30703.